Preventing environmental damage isn’t just a good idea because it can help your company save money, it is also a good idea because you are almost always required by law to do so. One of the easiest ways to prevent water contamination is by coating your pipes with IXS Coatings. IXS Coatings is dedicated to providing our customers with the industrial protective coatings required to stop costly accidents from occuring. Whether your company needs to integrate protective coatings during manufacturing, or you need a mobile solution that will allow you to take care of items and equipment in the field, we can help. Contact our team today to learn more about the ways that we can help. If you have an above-ground pipeline or you use large storage tanks to store oil, gas, or anything else that can be corrosive or cause an environmental problem, you know just how much damage the weather can do. In order to stop this damage before it happens, contact IXS Coatings. We can help you find a way to protect your pipes and tanks from rain, snow, ice, wind, and UV damage. We have a number of different protective materials that are suited for a wide range of applications and environments. When applied, these polyurea protective coatings add an extra layer of high-quality protection that can resist extreme temperatures and weather. Oil and gases can be incredibly corrosive, which can lead to problems of environmental contamination. IXS Coatings add a layer of protection that traditional pipe materials don’t have, which can help your pipes last longer and be less prone to damage. IXS Coatings work on pipes made from synthetic and natural materials. Our protective industrial coatings aren’t just affordable compared to the costs of a massive spill, they’re affordable using any metric. Your pipes and tanks will last longer and the likelihood of contamination is far lower when you add polyurea protective coating. When you need to ensure that you’re doing everything you can to make every dollar last, you should start by protecting the pipelines, tanks, and other equipment with polyurea coatings. 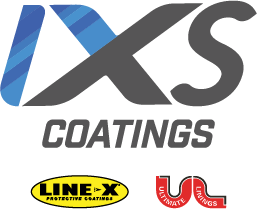 IXS Coatings can create a system for you that will make applying our coatings fast, easy, and cost-effective now and into the future. When you weigh the cost of coatings against the potential costs of a failure or a spill, the price becomes even better. Get in touch with our team now to learn about all of the benefits of coatings from IXS. Contact IXS Coatings today to learn more about our protective polyurea coatings. Our team can design, create, and implement a system that matches your needs perfectly. Whether that means on-site applications or setup and training, we can make it happen. No other company has the knowledge, materials, and skills that we possess, so don’t waste your time with others who won’t be able to deliver the customized and highly effective solutions that we can.